If you like some granular control over synced accounts, you probably ran into a little roadblock with Android 5.0. If you wanted to manually sync items in one of your accounts, the button to do that was missing. Well, at least, sort of. In its place was "cancel sync," even though there was nothing to cancel. That should have only been present after initiating a sync manually with the "sync now" option. None of that worked in 5.0. With Android 5.1, though, everything is back to normal. Above, you can see things working properly on Android 5.1. In the first screenshot, you can see the menu options for initiating sync. In the second, it has begun syncing, and the "cancel" option appears to stop it if you so desire. 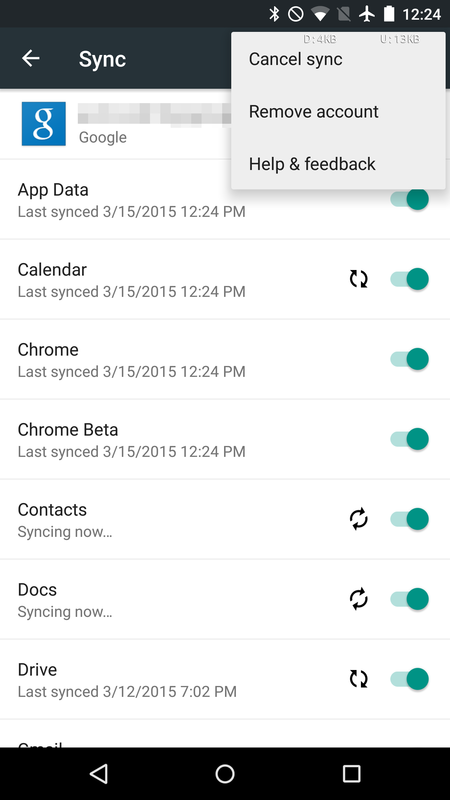 A lot of folks probably didn't notice the bug in Android 5.0 because sync otherwise worked correctly. The most common reason for needing/wanting to sync manually is when you have disabled certain items. 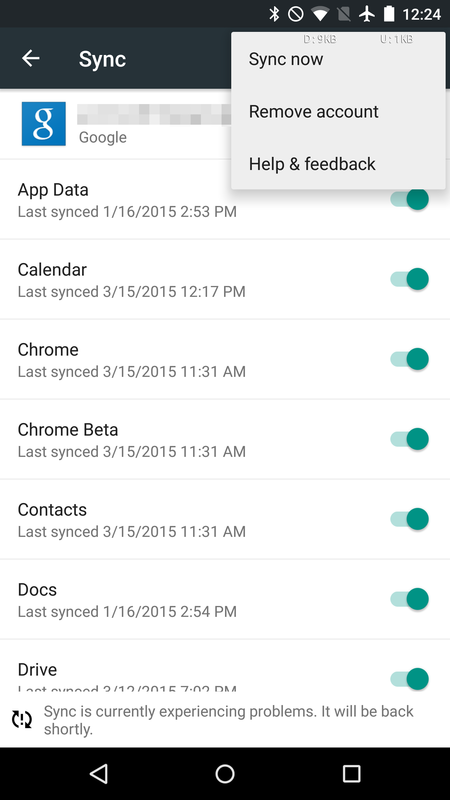 For example, if you have disabled Calendar and Contacts from the sync options for your Google account, the method above is how you would bring your device up to date without activating automatic sync. No matter the reason you might be using the feature, Android 5.1 should tidy up this problem.